Are you a mosquito magnet like me who gets bitten by these blood sucking thieves which leaves you itching for a whole week? What nasty little divine thieves! By stealing your blood, they’re also sucking away your life and all the time and energy you spent scratching and coming up with plots to take revenge. 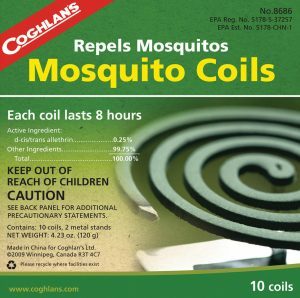 If you suffer from horrendous mosquito bites, here are five ways to get rid of them without sprays or repellents (because I find them not that useful). Warning: Do not get those cheap ones for $12 because they barely work. Get one that’s around $50 and they work wonders in your house. These insert zappers work both indoors and outdoors (though check before you buy to see if there will be any hazards using them indoor) by having a light which attracts mosquitoes and other insects, then the high voltage zaps them to death. They work particularly well if you turn off the lights so that the zapper is the only source of light in the room. We used them commonly while I was in China and the only real problem I had with them was how bad it smelled. What we used to do was leave it on in the house for a day and usually, the mosquitoes all disappear the next time we went inside the room. Yeah, sometimes the best thing to do is make sure your feet, legs and most of your body is covered, then leave one part of your body out for them to bite. Watch closely, and as soon as you feel something, slap down on them and just kill them. You can learn to spot them if you are aware. Those candles are made from citronella oil, native to Asia which is said to be a natural repellent. 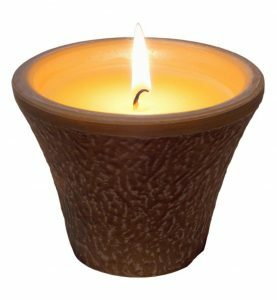 The best thing is, these candles come in really beautiful styles, and can blend in with the furniture and look good, while doing its job. The only downside is you have to keep buying refills. 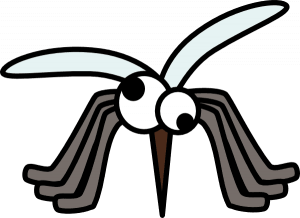 Sometimes, you may see a mosquito flying in the air but it’s hard to actually hit it. That’s when the good old swatter comes in use. 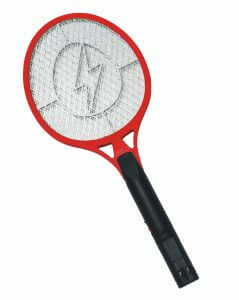 You just wave it around and because the swatter is powered by electricity, it should zap the mosquitoes to death and hopefully killing them much easier than doing it by hand.